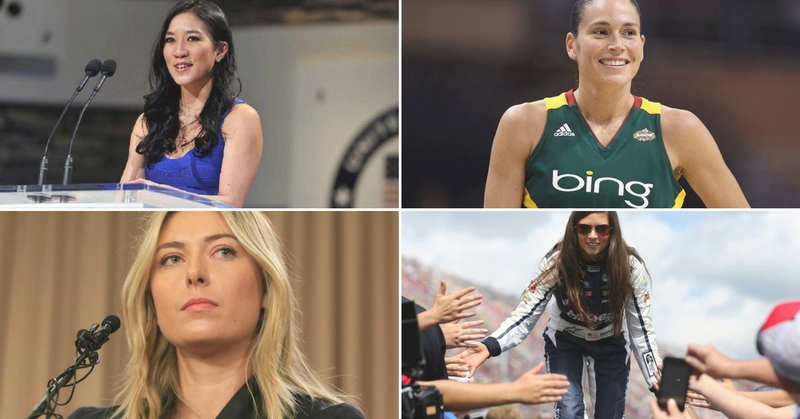 It’s about time we highlight the talented women of sports in the male-dominated industry. Here are some international sportswomen you should totally look up to whether you’re into sports, or you just want to prove a point; that women can do just as good or even better than men. This talented footballer has had represented the United States in 2007, 2011, and 2015’s FIFA Women’s World Cup. She also helped lead the team to win in 2015 when she scored the fastest hat-trick in World Cup history during the final game. She has earned two Olympic gold medals for football during the finals of 2008 and 2012 Summer Olympics and has been a female football icon for ages, garnering a large fan base with the help of the 2015 World Cup victory. If you are Malaysian, and you grew up watching figure skating on TV, you’ll probably know this talented sportswoman. She is the most decorated figure skater in American history and she is considered to be one of the greatest figure skaters of all time. Why is she on this list? Well, it’s because the actual sport of figure skating itself is an underrated sport unless the Winter Olympics are on. Kwan was the US Figure Skating Association’s highest-paid athlete from 1997 to 2005 and the highest paid skater on the ‘Champions on Ice’ touring ice shows. Though she has retired since 2006, she will forever be remembers as one of the nation’s most premiere athletes. Sue is a former Seattle storm basketball player who gained recognition as the first overall pick of 2002 WNBA draft and a 7-time WNBA All-Star player. She has also won an NCAA championship, a WNBA championship, and an Olympic Gold medal for basketball. With her large accomplishments, she was also voted to be included in the WNBA’s list of the Top 15 Players of All Time in 2011. This sportswoman had helped lead the US women’s national volleyball team to gold medal victories in the 2014 Volleyball Women’s World Championship and also in the 2015 Pan American Games. She has also earned an extensive list of honours during her collegiate career alone, and since her graduation, her volleyball career has taken her to Puerto Rico to play for the country’s pro-leagure and also to her current position as a world record-holder for the most points in a single match. Even though many consider Serena Williams the most famous female tennis player, Sharapova is the highest paid female athlete on Earth. She was born in Russia and is currently ranked 3rd in the world by the Women’s Tennis Association, and was also ranked 1st in the world for singles by the WTA on 5 occasions. She is also one of 10 women to hold the accomplishment of career Grand Slam an aside from dominating the tennis world, Sharapova is also noted for modelling and serving as a program ambassador to the United Nations. This successful American golfer holds 2 major championship victories under the belt for the 2011 Kraft Nabisco Championship and the 2013 British Women’s Open. Her talent has not been overlooked when she was ranked first in the Women’s World Gold Rankings on two separate occasions in 2013 and 2014. Patrick has reached a level of fame that would arguably label her as very much underrated. But she still earns a place on this list for breaking out in a historically male-dominated sport. She holds the record for completing the most consecutive races with 50 completed races in 2011, as well as other achievements, giving her the title of most successful women in American racing history.